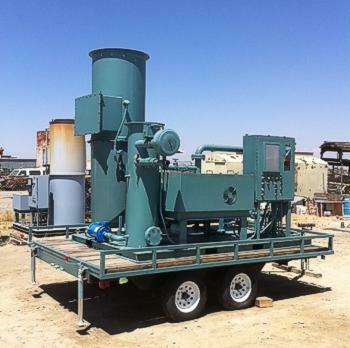 VEIR Corp owns and operates in excess of 40, versatile soil vapor extraction units including 250, 350, and 500 CFM truck-mounted high vacuum dual phase extraction units with thermal catalytic or electric oxidation and groundwater treatment systems. The president of VEIR Corp, Mr. Timothy Martin, has over 23 years experience including superfund remedial system installations; Phase I, II, III environmental assessments, and the installation and operation of remediation systems for volatile organic compounds including fuels and solvents. 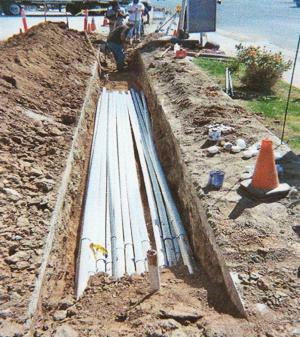 Remediation systems include SVE, air sparging, bioventing, biosparging, groundwater pump and treat, and mobile and fixed DPE systems. The environmental manager of VEIR Corp, Mr. Mark Magargee, PG, CHg, also has over 30 years experience as a licensed professional performing subsurface soils and groundwater investigations, groundwater monitoring, Remedial Investigations (RI), Feasibility Studies (FS), Corrective Action Plans (CAPs), and remediation system installation and operation including ten years managing over 100 major oil company sites that are in various stages of site assessment, RI/FS/CAP development, and remediation. 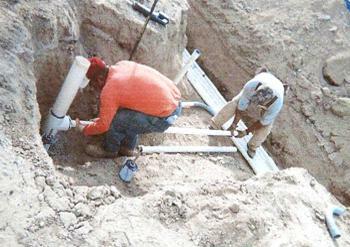 VEIR Corp has designed, installed, and operated over 100 soil and groundwater remediation systems including vapor extraction (thermal and catalytic oxidation, internal combustion, and carbon adsorption), pump and treat, air sparging, and in-situ and ex-situ bioremediation systems.